Glen E.M. Yaguchi has a business, international and technology law practice. 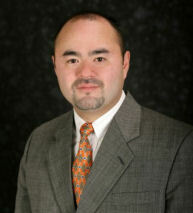 Glen Yaguchi’s background includes general civil litigation and business transactions. He has significant experience in negotiating, structuring and documenting a wide range of domestic and international business transactions. Examples of those transactions include asset acquisitions, strategic alliances, international joint ventures and distributorships, intellectual property licensing, as well as general corporate matters. Mr. Yaguchi has also been engaged in complex computer industry antitrust litigation. Prior to founding Yaguchi Law Firm, Glen Yaguchi practiced with major law firms in Honolulu, Anchorage, Tokyo and Seattle. During his stay in Japan, he was admitted as a Gaikokuho Jimu Bengoshi (foreign admitted attorney) and served as an Adjunct Law Professor at Temple University Japan where he taught Law and Governance of the Internet, Antitrust, Civil Procedure and Comparative Products Liability. University of Washington (B.A., Society & Justice with high scholarship, 1988). University of Oregon School of Law (J.D. 1991); Certificate of Completion in Business Law; Associate Editor, Journal of Environmental Law & Litigation. Washington State Bar Association (2000 – Present). Alaska State Bar Association (1992 – 2000) Active; (2001 – 2015) Inactive. Hawaii State Bar Association (1991 – Present) (Inactive). Japan Federation of Bar Associations (1998-2000). Washington State Bar Association International Practice Section: Co-Chair (2011-Present); Chair (2010-2011); Chair-Elect (2009 – Present); Treasurer (2005 – 2009).